Those of us who live in small homes have a number of organizing challenges—and one of those challenges involves small bedrooms where fitting in a nightstand or two may be impossible. People who are bedridden may also want organizing tools that keep things closer at hand than on a nightstand. 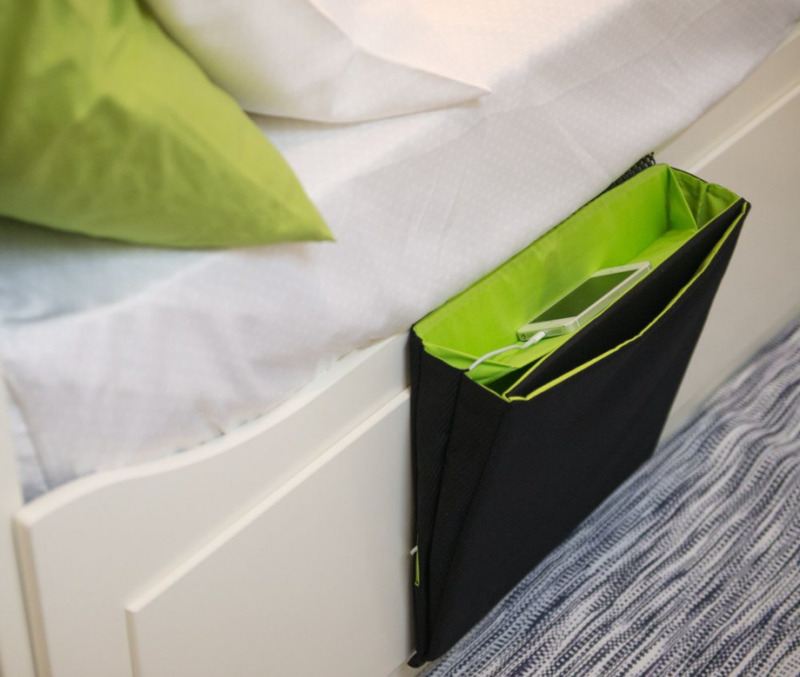 Bedside pockets are one common product design to meet this need—and although I've seen some hideous ones, they can be designed to be both attractive and functional. 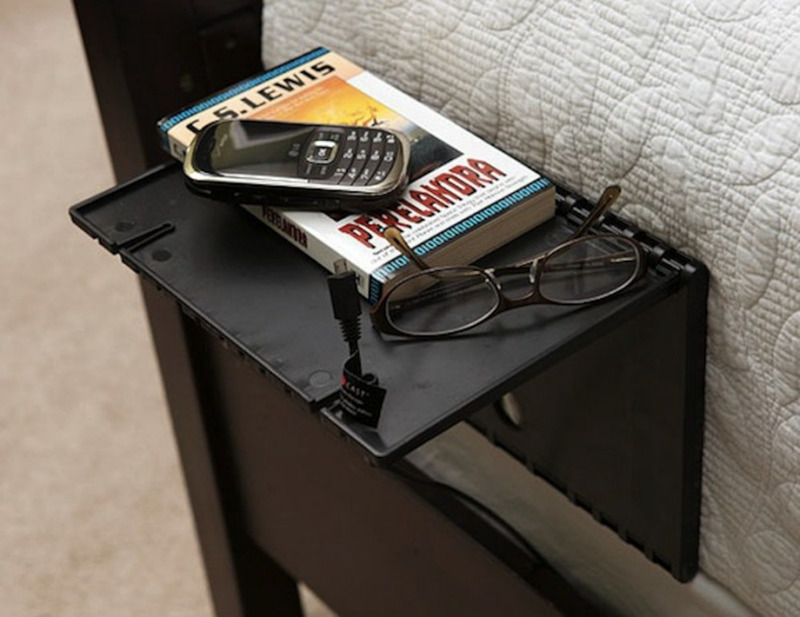 The bedside pockets from Stackers seem nicely sized for accommodating many common use-in-bed items: tablets, smartphones, magazines, paperback books, glasses, etc. (Smaller items like pens might get buried, though.) They also have cable loops to help control any charging cords. As with most bedside pocket designs, one end slips under the mattress—and hopefully stays put once it's positioned. A Stackers purchaser reports that this design does indeed stay in place and credits the heavy linen fabric for that. Bedside pockets, no matter how well designed, won't work for everyone; for example, they wouldn't work for my bed, where the mattress sits within an old waterbed frame. They won't work for those who need to keep things away from small children. 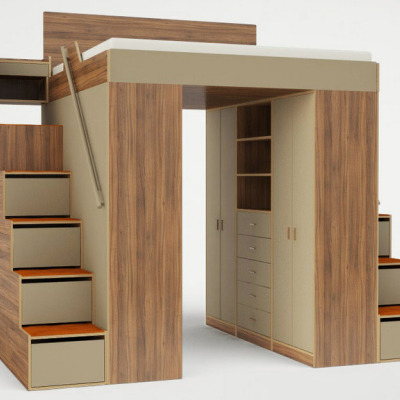 And the pockets might interfere with getting into any under-the-bed storage. But for many space-challenged end users, they could work just fine. Some people may have just a few things they want to keep close at hand, and the bedside pocket from Kikkerland might meet their needs. 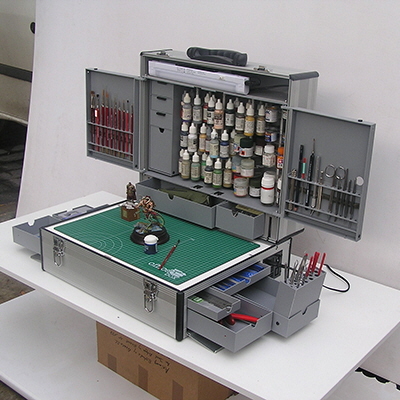 It's made of felt combined with a polystyrene interior frame. Purchasers report that it's sturdy enough to hold a hardcover Harry Potter book and that it, too, stays in place. But some other bedside pockets do have problems with staying in place. 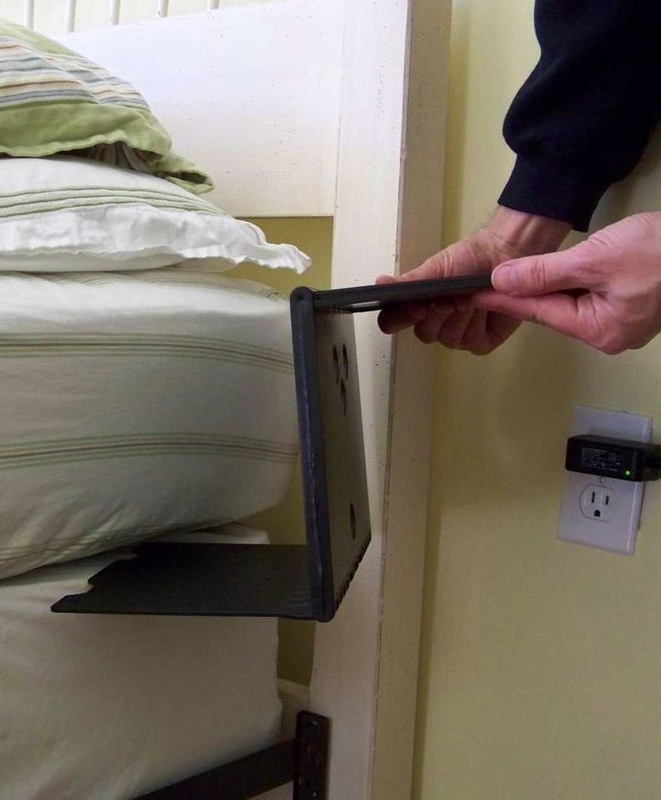 Numerous purchasers report that the Richards bedside caddy, which has a rigid board that fits between the mattress and box spring, slides out and falls on the floor when the caddy gets loaded. (They've come up with numerous kludges to work around this problem.) And one purchaser noted that the pockets don't stay open when they're not full, making it difficult to reach items at the bottom. 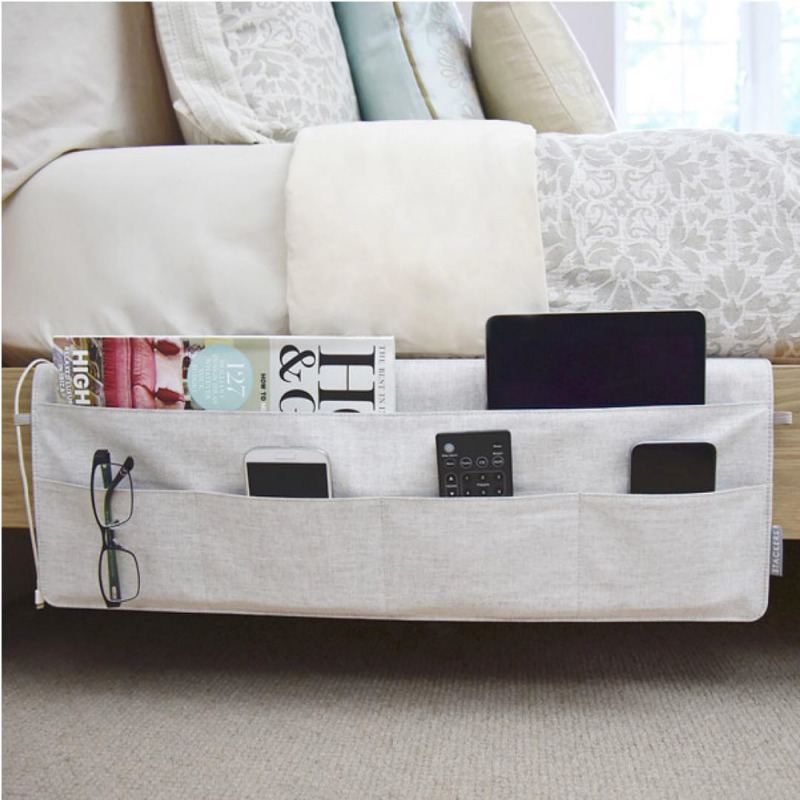 The iBedside from Padded Spaces was designed specifically for those wanting a handy space to stash their electronics: a cell phone, a tablet (including the iPad Pro), a 13-inch MacBook or other laptop computer, an Apple Watch, etc. There are side holes and inner loops to keep charging cables in place. It can hold up to 7.5 pounds of devices. 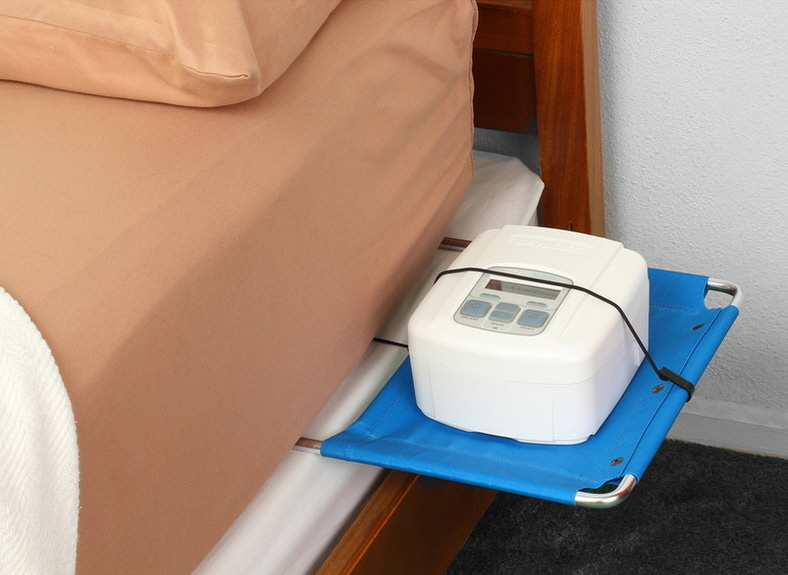 The iBedside has an anti-slip mat that goes under the mattress to keep it secure, although the company notes it will need adjusting from time to time. Most purchasers had no problems with it staying in place. 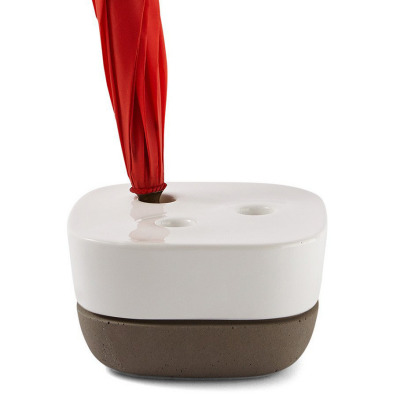 The Bed Butler 2.0 and the smaller Bed Butler Mini are made from polycarbonate. Since they are clear, there's less chance something will get lost and forgotten in one of the pockets. 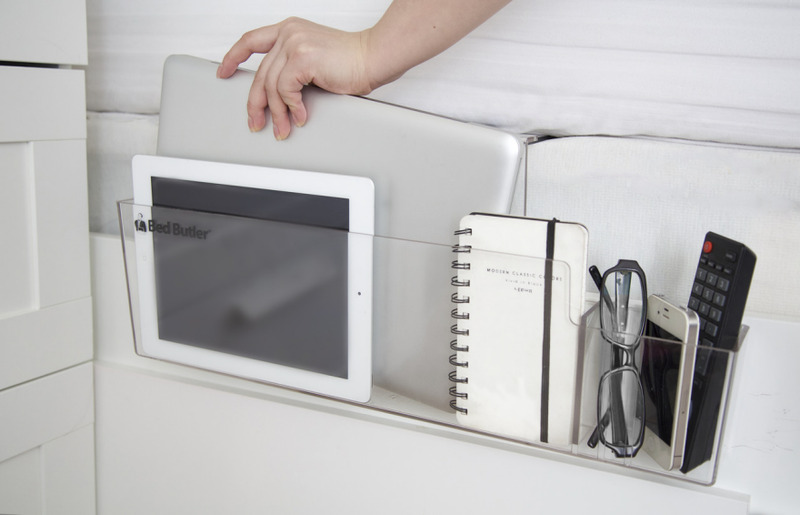 The Bed Butler 2.0 can hold laptops up to 17 inches and up to 14 pounds. Most purchasers said the Bed Butler was good at staying in place. 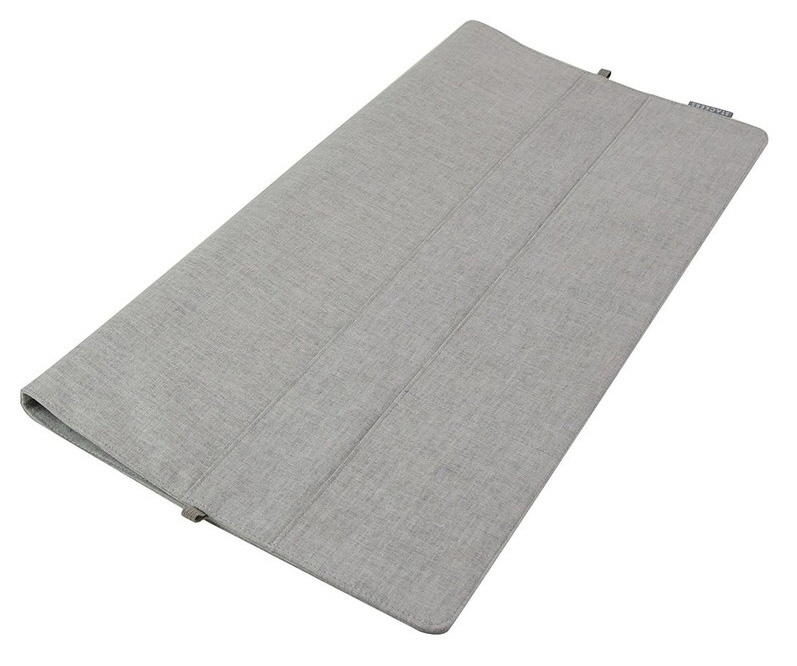 It comes with an anti-slip pad to place on the under-the-mattress arm; that's for beds with a box spring. There are also cable ties to use for beds with wire frames. 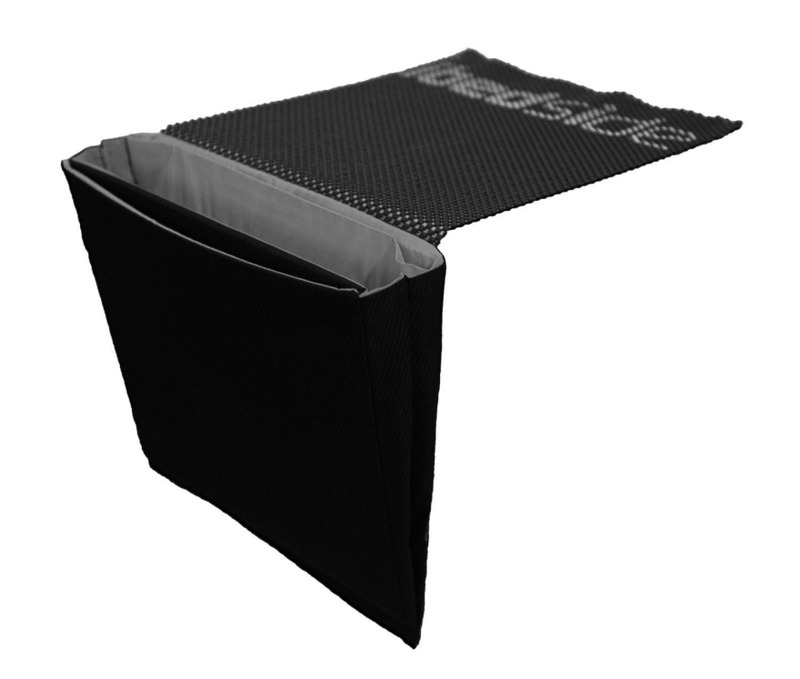 The Bed Butler comes with one divider, but I was glad to learn that additional dividers are available for purchase; it can accommodate up to three. There are also "skins" available for those end users who don't want the clear look, either for privacy or aesthetic reasons. A possible drawback: One purchaser said she keeps hitting her shin with it when she makes the bed, and the edges are hard and sharp. 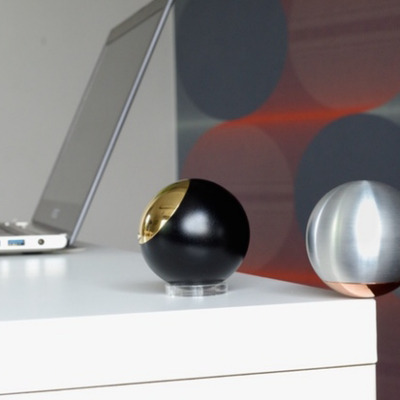 For people who don't like bedside pockets (or whose beds won't accommodate them), bedside tables are another option. They stay in place much as the bedside pockets do, by sliding a flap or a leg under the mattress. 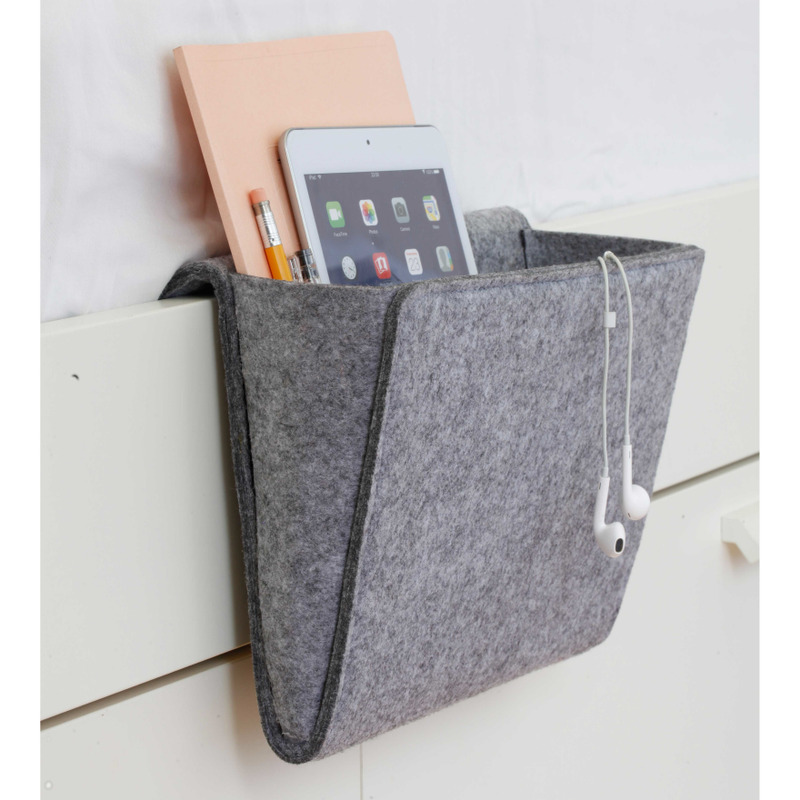 The Urban Shelf has a raised lip so items don't roll off, and two cord holders to make charging easier. It can hold up to four pounds. The website warns purchasers that this item may not work with memory foam or ultra soft mattresses, as it needs a rigid surface above and below its lower slat. 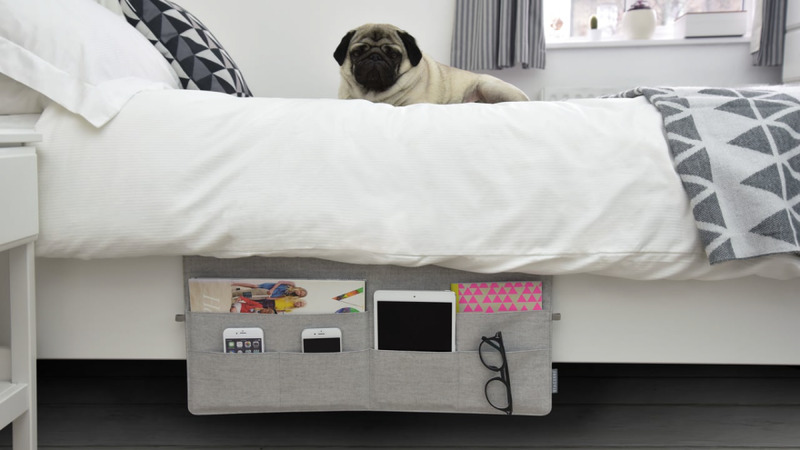 The Urban Shelf folds flat and only weighs 1 pound, so it's something that could be taken along when end users travel and stay at other people's homes or at hotels. 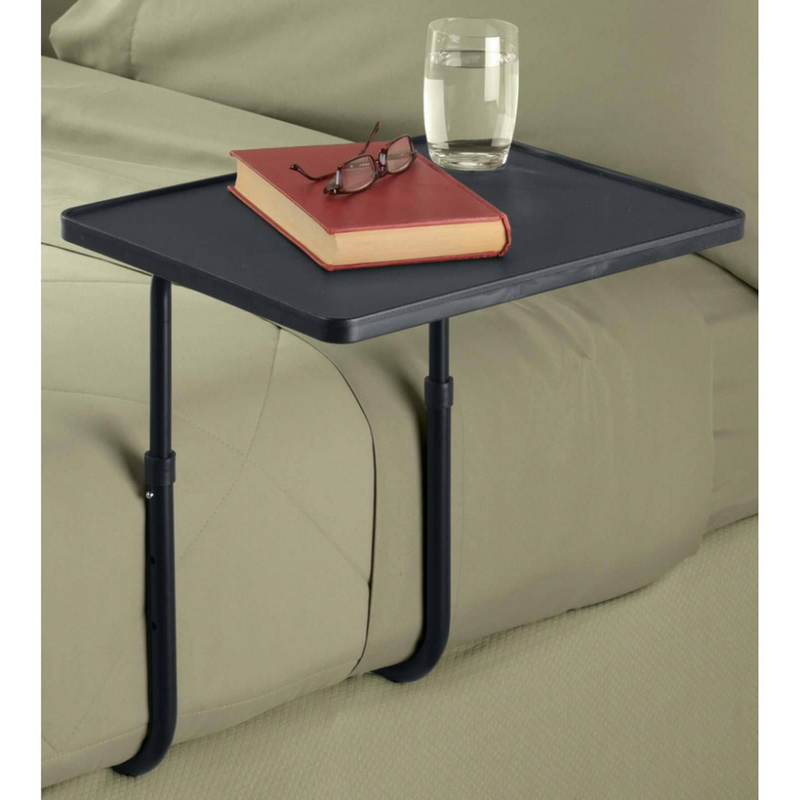 My Bedside Table from Milen has a different advantage; the height is adjustable. Arden Innovations provides a specialty product: the Bedside CPAP Table. This allows end users with sleep apnea to keep their machines close at hand so they can be adjusted if need be during the night. And it keeps the CPAP off the nightstand (where it takes a lot of space) and off the floor (where it can be a hazard). This table won't work on beds like mine, with a mattress sitting inside a frame, but it will work for many beds. And it's another table that can be taken along when traveling. 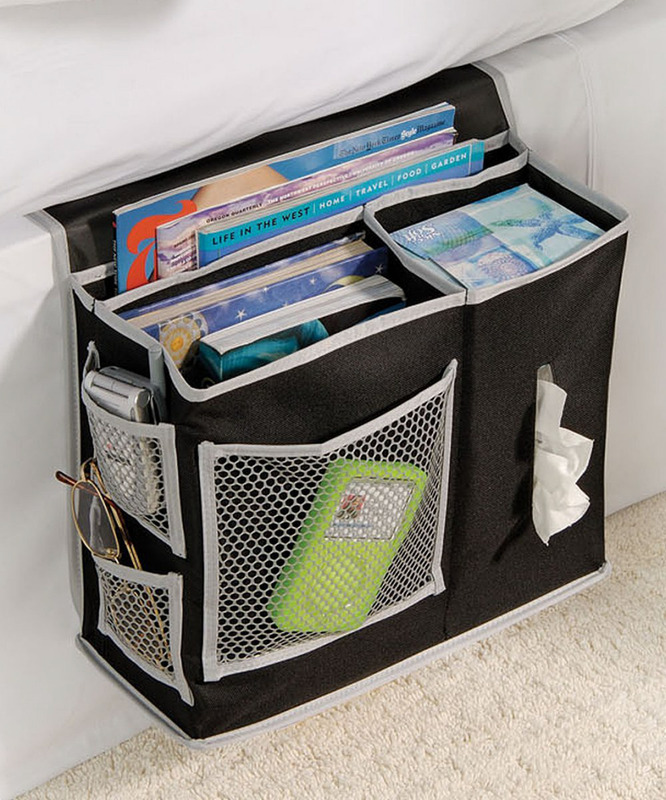 NeatSheets from Everest Linens, with their convenience pockets, are one more option for bedside storage. 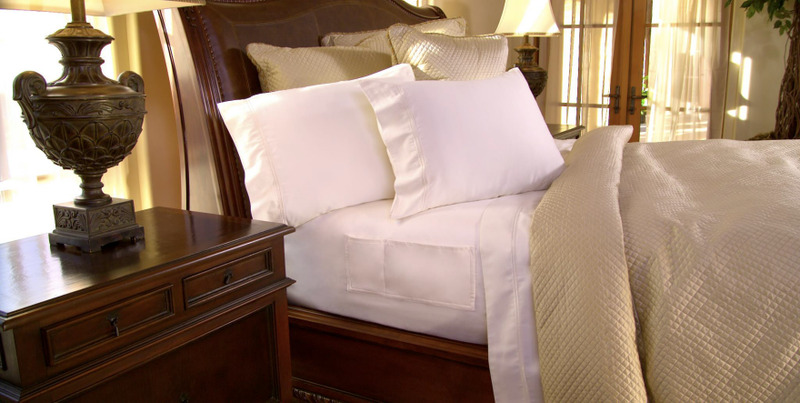 NeatSheets are custom made to fit the purchaser's mattress, and the pockets are an optional add-on. 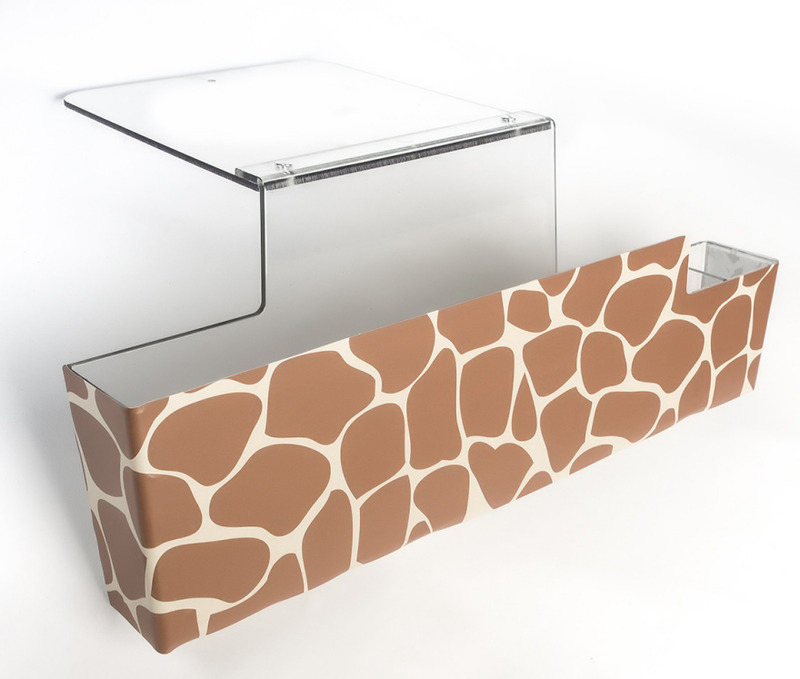 It's a non-obtrusive design for those who just want to keep a few smaller items (such as remote controls, cell phones, reading glasses, books, pens, lip balm, contraceptives and medications) close at hand. Gr2: The "Secret Storage Sphere"